Within the dance community and the major production companies in town, several small offshoot companies are both adding to the flavor of the scene and accentuating the variety. --- These smaller companies serve as a place for up-and-coming talent to hone their skills and also give those who have participated in bigger companies a chance to take leadership roles they normally wouldn't have. Gavin: Hey, Aaron. First off, tell us a bit about yourself. Aaron: Well let’s see ... I’m originally from Wyoming and am a Wyoming boy at heart. I moved to Salty Town in 2004 and have been dancing for Repertory Dance Theatre since 2007. I enjoy a good stout, especially Squatters Espresso Stout. I began my formal dance training at age 18 and feel very fortunate to do what I love to do every day. Gavin: How did you take an interest in dance and what influenced you to start performing? Aaron: When I started college, I was looking into becoming a physical therapist, but fortunate circumstances brought me to audition for a musical the theater department was producing that year.%uFFFDDamn Yankees was a turning point in my life. I met the director of the dance department and she talked me into taking a ballet class. Needless to say, the next semester I changed my major. Gavin: How was it growing up learning the craft, and how did the decision come about that you wanted to make a career out of it? Aaron: As I was growing up, I would create little dance numbers that were showcased in the living room of my Grandma Dell’s house. We would push the living room furniture out of the way, and Grandma would play the piano as I leaped and turned around the room. She would applaud and I would bow, so the desire to be a performer has always lived within me. Gavin: You've studied dance at both Casper College and the University of Wyoming. What made you choose both those colleges and what were their programs like for you? Aaron: The reason I chose to attend Casper College was because I was still “green” to dance. Like I mentioned earlier, I had never taken a formal dance class until ballet at C.C. The program at C.C. is a wonderful two-year adventure. I received great instruction, especially with regard to the fundamentals and history of dance. After Casper College, I went to the University of Wyoming, where I received my BFA in Theatre and Dance. The University of Wyoming’s dance program is unlike any other in the nation. Class sizes are small so students get personal one-on-one help and instruction. As a dance major, I was able to take not only modern technique, but ballet, jazz, tap and musical theater. This background has served me on many occasions, especially with dancing for Repertory Dance Theatre. Gavin: What eventually made you decide to go to the University of Utah for your master's, and why did you decide to stay in Utah after completing your degree? Aaron: Before I was accepted to the University of Utah’s modern dance department, I was living and auditioning in New York. New York was an amazing time in my life, but I missed the open spaces of the West. So, I researched graduate dance programs and saw that the U of U was going to hold an audition in the city. I decided to apply and the rest is history. Attending the U of U was a gift on many levels. First, I met my best friend Sarah Donohue, who would later turn out to be my partner in crime with our dance-theatre company My Turkey Sandwich. Secondly, I began to define what I wanted to do with my art form. 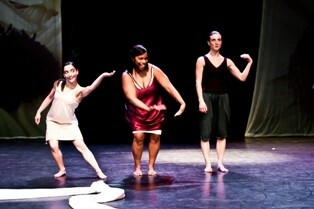 My thesis was an examination of how to utilize modern dance as a medium for gay awareness. The process of both writing the thesis and choreographing the creative element taught me what it is to discover one’s own artistic truths. Gavin: You've kind of balanced your professional career between performing, teaching and directing. How has it been for you taking on various roles behind the scenes and still being able to perform for audiences? Aaron: For me, these three roles go hand in hand. From every experience I have in one role, I gain a slightly deeper understanding into the other roles. 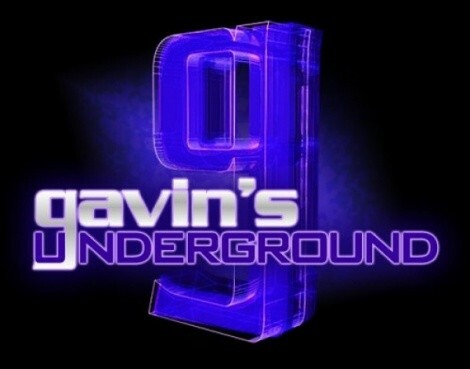 Gavin: Where did the idea come about to start up your own small dance company, and where did you get the name from? Aaron: Sarah and I were both finishing our graduate studies and unsure of what the future had in store. We each had the desire to continue performing and choreographing, so one warm patio-sitting day, we decided that we would just start a dance company. I remember Sarah asking me how we would do that, and I replied, “We just need to give it a name, and that’s that.” After a couple of hours of deliberation from a question we posed to one another -- “What is something everyone likes, but at the same time is unique on its own?”-- My Turkey Sandwich was born. First, it’s a rarity for someone to not like a turkey sandwich, and a turkey sandwich can be made in many ways. For example, I enjoy mine with mustard and mayo while someone else may prefer theirs with cranberry sauce. Gavin: Your first performance was The Numbing Effect back in 2008. What was it like for you both putting it together and performing it under this new entity? Aaron: Actually, our first performance was a duet show titled Between The Bread and featured our first duet The Numbing Effect. It was such a surreal experience to have an idea and then see it come to fruition. Something we always strive to do with My Turkey Sandwich is to embrace the lighter side of life. Hence, our closing piece of that show titled Q & A. It’s basically a jest at how we as dancers try to define and answer life’s most important questions through movement, i.e. : How many licks does it take to get to the center of a Tootsie Roll Pop? I have found that artists take themselves way too seriously, and being able to find humor in art and in oneself is just as important -- if not more important -- than to capitalize on all of life’s negative affairs. Gavin: What was the reception to that performance like from patrons, as well as fellow dancers and companies? Aaron: We had wonderful feedback from that show. People laughed, so that’s a good sign. Utah Valley University asked us to set our piece Q & A on their dance ensemble that following fall. Gavin: How has it been for you both to work with RDT in bringing these performances to the Rose Wagner stage? Aaron: We have been so fortunate for the RDT Link Series, which has provided us a fantastic umbrella to present our work under. Without the Link Series, it’s hard to imagine if the shows could have been produced. Gavin: What has it been like for the two of you building the company up each year under the radar, and steadily bringing an awareness of dance to some who may not have taken an interest beforehand? Aaron: I suppose we both come from the same kind of people: hard-working, confident and adventurous. It’s a lot of hard work to sustain a company, but when the hard work isall said and done and you have artistically put yourself out there, the ride up to that point is indescribable and so worth it! It’s always exciting to see new faces in the audience and to also hear their thoughts and impressions afterward. I have come to love post-show conversations and have learned a great deal about dance through the encounters I have had with new enthusiasts. Gavin: Most recently, you has a performance for The Yellow Wallpaper. 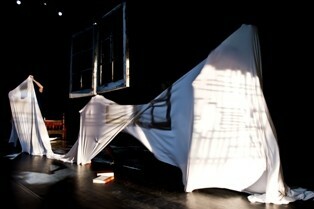 What was that like for you performing in the Black Box again and marking the fifth year of performances for the company? Aaron: The Yellow Wallpaper was unlike any other work we have created. First, we took the short story written by Charlotte Perkins Gilman as our inspiration. We had never worked within the realms of a storyline before, and ended up finding it to be both challenging and freeing at the same time. Secondly, it was a full evening-length piece that involved only five performers -- four incredible dancers and one spectacular actor. It was a darkly humorous examination of an 1890s woman whose prescribed rest-cure treatment led her to becoming slightly insane. Gavin: Are there any more performances being lined up for 2012, or are you done with this season and planning for the next? Aaron: We have been taking a little hiatus from choreographing, but we like to stay busy and have already started to bounce new ideas off of each other. We are hoping for another show in the spring or summer of 2013. Gavin: Going local, what's your take on the Utah dance scene, both good and bad? And is there anything you believe could be done to make it more prominent? Aaron: The Utah dance scene is incredible. The talent that exists here is truly inspiring. As dance enthusiasts living and working in this state, we are fortunate to see and perform the works of some of the dance world’s most recognized choreographers and teachers, who happen to live right here in Salty Town. The different professional companies that exist here offer a wonderful variety of movement. We have ballet by Ballet West, classical and contemporary modern dance offered by Repertory Dance Theatre and Ririe-Woodbury, and jazz from ODT. At times, I question if we might be splitting the audience too thin by offering so much dance. I think an exciting endeavor for the companies would be to unite and offer a performance showcasing each company’s strengths. 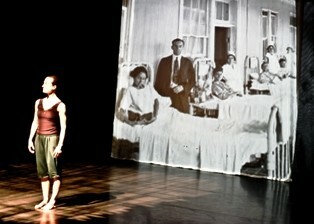 This could also help audiences branch out to new venues and consume a dance idea that might be unfamiliar to them. Gavin: What's your opinion on other local dance companies and the work they're doing to promote the art? Aaron: What I have witnessed with regard to the different companies in the valley is the brilliant integrity that each company brings to the plate. I appreciate the virtuosic dancers of Ririe-Woodbury, I have been enjoying the billing that Ballet West has been presenting, and RDT offers a richness of movement material that is so much fun to learn and perform. Gavin: What advice do you have for anyone looking to get into professional dancing for a career? Aaron: My main advice for dancers seeking a career in this field is to see and be seen as much as you can. Support the artform you want to work in. Take workshops, seek out classes and other professionals. This will help in you developing your artform and own artistic truths. Aaron: We will be teaching classes at the RDT Community School, choreographing various pieces for workshops, seeing dance concerts and, of course, rehearsing and performing for RDT. Gavin: Is there anything you'd like to promote or plug? Aaron: If anyone is looking for an adult-dance class, check out the RDT Community School. We offer African, zumba, modern Technique, SOMA, prime movement and flamenco. The class cost is $12 for a drop-in, or $100 for a 10-class punchcard.